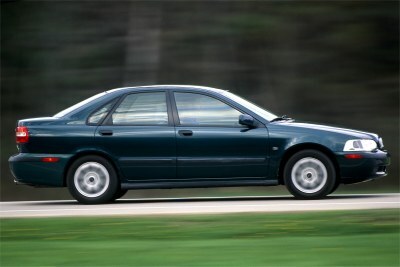 The S40 sedan is equipped with a 160-bhp/1.9L I-4 turbo, coupled to a 5-speed automatic. Trim levels are the 1.9T and uplevel SE. Options include: leather seats, child booster seat, Dynamic Stability Assistance (DSA), and a 100-watt CD audio system. A complete passive safety airbag package includes side-curtain airbags.